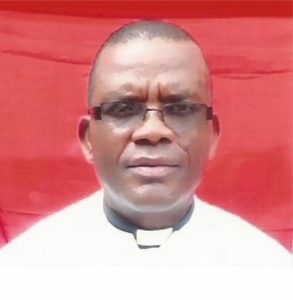 Calabar Diocese has more than one hundred commissioned (licenced) Evangelist and each of them are very active in the Diocese except few that are not serious. They have been involved in planting of churches, hospital evangelism and motor cade evangelism. Some of the churches in the diocese are being pastored by Evangelist in some churches they conduct services. Each Archdeaconry has their co-ordinators/chaplains Evangelist Uche Okonkwo is the Evangelist co-ordinator of Ogoja Archdeaconry and Rev. Osita Olekwara is the chaplain. Evangelist Mrs C. Ekwereuka is the Evangelist co-ordinator of Ikom Archdeaconry and Rev. Osita Durueke is the chaplain. Evangelist Asuquo Bassey is the Evangelist co-ordinator of calabar Archdeaconry. Evangelist Ezeadi Obiegbu is the Cathedral co-ordinator and also the Diocesan President of Evangelists.